Why Buy Used When You Can Buy New? Why buy used when you can buy a new SUV for a better price and best Warranty! $21,490* plus Tax Title and fees. 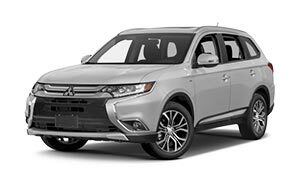 Mitsubishi SUV's and CUV come with America's best warranty. 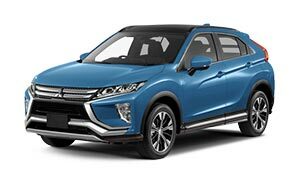 Anchored by a 10-year/100,000-mile powertrain limited warranty, a roadside assistance plan that provides help if you need it for five full years, and a commitment to innovation that comes from nearly a century of building some of the world's best engineered automobiles, Mitsubishi Confidence is your assurance that your new Mitsubishi will be there for you today, tomorrow and long into the future. 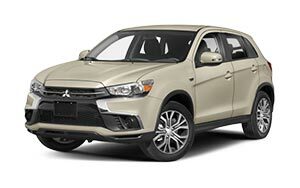 Our New Vehicle Limited Warranty covers all of the parts in your new Mitsubishi for 5 years or 60,000 miles, with the exception of the battery, tires, air conditioner refrigerant, light bulbs and select entertainment/navigation system components, which carry their own warranties. For i-MiEV models, this coverage is for 3 years or 36,000 miles. If any covered part fails during the coverage peirod, it will be repaired or replaced. All of our SUV's offer great mileage! Best of all you can save money buying new! Ask about our financing options and how we can help you get into an affordable SUV.